www.coopsuperstores.ie, Ireland’s Largest Online Country Store, scooped the coveted title of ‘Website of the Year’ at this year’s Retail Excellence Awards which were held at the Malton Hotel, Killarney over the weekend. The awards celebrate the best of every facet of Irish retail across stores, people, managers and team members, ecommerce and suppliers. Breaking the mould as the first online website of its kind to win the title in the retail awards’ 20 year history, www.coopsuperstores.ie, beat off stiff competition from hundreds of Irish e-commerce retailers. Winning the award was a proud achievement for the popular Farm, Home & Garden online store which was launched less than 3 years ago at a time when it was regarded as an early adopter in the Agri Sector to the online e-commerce landscape. E-Commerce is part of Co-Op Superstores omni-channel retail strategy with their online store working seamlessly with their physical stores across Munster. As part of the competition, every aspect of the www.coopsuperstores.ie performance including usability, Search Engine Optimisation (SEO), its range and availability of products, use of the various digital channels and delivery service was scrutinised by a team of expert and independent judges. As part of the prestigious award win, Co-Op Superstores will now go on to represent Ireland at the Global E-Commerce Summit which will be held in Barcelona next year. 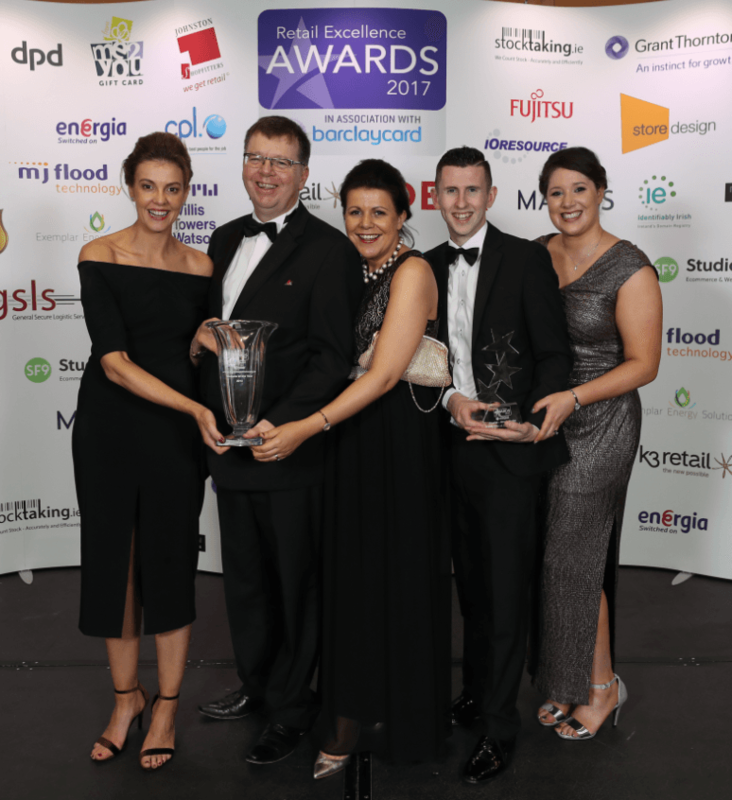 David Fitzsimons, Chief Executive of Retail Excellence commented: “Dairygold Co-Op Superstores are a superb example of agri-retailers breaking new ground by embracing the potential of online selling and we are delighted to see them take the national title of Website of the Year. Our Awards process was very thorough from start to finish. We interviewed every finalist in this competition with the help of some of the best e-commerce retailers and industry leaders in the game”.